He suggested working together as one airline so as to avoid eating into each other's market share. He said he would like to invest in my airline. What started as a collaboration and investment by Kingfisher Airlines in Air Deccan soon turned into a merger of the two in 2007, followed by two rebranding exercises with which Air Deccan, India's first lowcost carrier, metamorphosed into Kingfisher Red. On September 28 this year, Kingfisher Red was awarded the death sentence. Kingfisher Airlines Chairman Vijay Mallya announced after the company's annual general meeting in Bangalore that he was discontinuing the low-cost service. Kingfisher Red would cease to exist over the next four months. Its 15 single cabin, no-frills aircraft would be converted into a mix of business and full-service economy class seats to become part of the airline's fullservice fleet. Kingfisher, which holds a 18.8 per share of the domestic market, also announced it would reduce the number of business class seats on many of the aircraft on its full-service fleet and add seats to the economy section. The airline claims the two moves will increase its capacity by around 10 per cent. Will increased capacity also result in better financials? The two far-reaching decisions are part of the airline's continuing efforts to reduce its staggering total debt burden of around Rs 5,500 crore. In April this year, it allotted around 11 per cent stake to State Bank of India and ICICI Bank in a debt restructuring exercise. More recently, it announced it would try to raise around $250 million in global depository receipts. But its performance continues to be mixed. Though its first quarter results for the current financial year showed net sales increasing by 14.7 per cent to Rs 1,881.64 crore, its losses continued to mount. The loss for the first quarter was Rs 263.54 crore against Rs 187.35 crore in the same period last year. Kingfisher has attributed the decline to the rise in the price of aviation turbine fuel. Kingfisher's curious decision to close Kingfisher Red comes at a time when low-cost carriers are doing better than ever before, having captured 45.5 per cent of the Indian market. While Kingfisher has been losing money, IndiGo reported an 18 per cent increase in profits for 2010/11 on the back of a 42 per cent rise in revenue. SpiceJet's profit for the same year was Rs 101.16 crore, up 64.6 per cent. Market leader Jet Airways has said it plans to increase its domestic low-fare capacity to 80 to 85 per cent of its total fleet, from 72 per cent. Archive:Does Kingfisher-Air Deccan merger make sense? 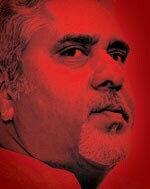 Sanjay Aggarwal, CEO of Kingfisher Airlines, is emphatic that the decision to close Kingfisher's lowcost arm was the right one. "A detailed study over the last six months during the high oil price regime has clearly demonstrated that Kingfisher's full-service product generated higher yields and load factors," he says. "This is consistent with our assessment that the business travel segment is more sustainable than the extremely price sensitive low-fare segment." But the second decision - to reduce the number of business class seats in its dual-cabin aircraft - is being endorsed by many in the industry. "Kingfisher's business class seats are costly propositions," says Gopinath. "They are more complicated, heavier, and costlier. As they are heavier there is more fuel burn, and because they are more complicated they require more maintenance." An official from a rival carrier added that the business class occupancy rate in airlines touches 80 per cent only on the Delhi-Mumbai route and that too during peak hours. During non-peak hours and on other sectors, it averaged 50 to 60 per cent, providing limited profitability. Industry insiders also point out that the dual-cabin aircraft can also be used on short-haul international routes in the night, thereby offsetting the losses made on domestic flights during non-peak hours. Sanjay Aggarwal, CEO, Kingfisher Airlines, tells Geetanjali Shukla why he thinks quitting the low-cost airline segment makes business sense. Edited excerpts:. Why focus solely on the full-service product, and why now? Operating costs of the so-called low-cost carriers and full-service carriers in terms of fuel, crew, airport charges, and engineering and maintenance expenses are similar. Fullservice carriers incur additional costs on global distribution systems, in-flight catering, ground amenities and the frequent flyer programmes. These are more than recovered through the higher yields. While there are three low-cost carriers which are adding huge capacity, there are only three fullservice carriers - Air India, Jet Airways and Kingfisher Airlines. The induction of so many additional aircraft in the low-cost segment will lead to substantial over capacity and a price war with declining yields. Competition will be far more intense in the low-fare space than in the full-service space. How will getting out of low-cost help Kingfisher streamline its finances? Over the next four months, Kingfisher will reconfigure all its Airbus aircraft including its single-cabin aircraft into dual-cabin aircraft with a reduced premium business class cabin and an increased number of full-service economy class seats leading to a capacity increase of approximately 10 per cent. The reconfigured aircraft will have seat equivalency of a lowfare carrier, but an opportunity to generate much higher revenue. Kingfisher will achieve incremental business class revenue as a result of wider and uniform availability. The airline will also generate incremental revenue through its increased full-service economy class capacity. Are there plans to further restructure debt? The airline has made a proposal to the banks to work together to reduce the debt. The banks are reviewing the proposals. Does Kingfisher have any other options? Experts feel it cannot even use a standard means of raising funds - sale and lease back of aircraft - many of its rivals have employed. This consists of buying aircraft at a discount, which all those airlines that place large orders get. When the aircraft is delivered the airline sells it at full price, but leases it back for use. "This way it earns a profit of around Rs 20 crore per aircraft," explains Aggarwal. But Kingfisher already has 54 of its 67 aircraft under operating leases, while eight others are under financial leases. It does not have the option for a sale and lease back unless it takes delivery of more aircraft. "We believe the airline needs funds as soon as possible," says Neeraj Monga, Executive Vice President of equity research firm Veritas Investment Research. Veritas had earlier raised questions over the airline's accounting standards and the April debt recast. "Our research shows it is losing between Rs 3 and 4 crore a day." Not quite becoming of the king of good times, is it?